5W 38° COB LED GU10 equivalent to 45W. • Diameter 86mm. Depth 140mm. Cut-out 73mm. 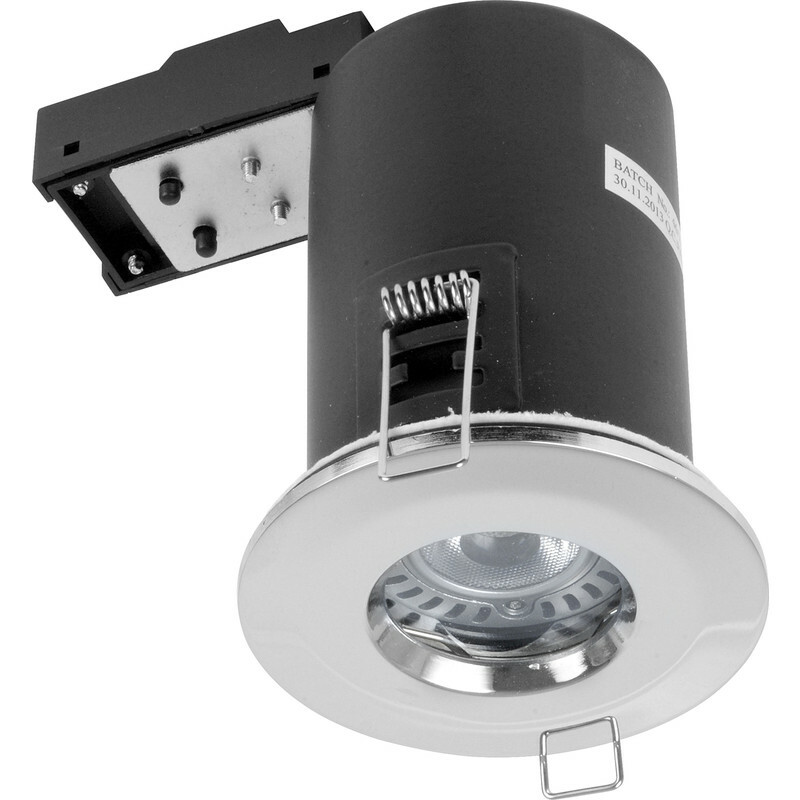 LED 5W COB Fire Rated IP65 GU10 Downlight Chrome 330lm is rated 4.9 out of 5 by 8. Rated 5 out of 5 by Refrewmike from Well made units Nice lamps. Terminal block good size and cable clamp works well. Easy takes 1.5mm in and out. Rated 4 out of 5 by kopimlko from bought for job Poor stock level had to go to differnt branches to collect enough for job. if low levels of stock tool station will be like a corner shop .ie only go when you need a small item . i will be returning to major wholesalers for bulk suppy of equipment. Rated 5 out of 5 by Big Pete from Good quality Good quality LED down lighter. Will buy these again. Rated 5 out of 5 by Ricardo27 from Great value Great product and easy to fit. Good quality not cheaply made .